In this web design resource, our lead WordPress developer in Dublin will go through a list of all the free plugins for WordPress membership websites. We will only list the plugins that we think are the best and most user-friendly. Hopefully, you find this web resource helpful, as we have recently noticed a large increase in web-based inquiries requiring membership functionalities, for the various monthly services and subscriptions they are providing. So What Is A Membership Website? We have seen a lot of these websites in the fitness industry, or make up industry or entrepreneurship or video, basically most lifestyle or influential spaces. Or the glitzy fake stuff you see on Instagram. Either way, love these membership websites or not, they are big business and appear set to continue to grow. According to Forbes, Global Industry Analysts have projected that “E-Learning” would reach around $107 Billion in 2015, which it did. Now, the same people’s forecasts show a tripling of 2015 revenue – E-learning will increase to $325 Billion by 2025. There are just So many different free and premium Membership Plugins for WordPress. Here is a list of the different features and functionalities provided by these WordPress membership plugins. These different premium membership WordPress plugins offer various advanced features. The main point of membership sites is to earn a passive income. This means that if your idea is good and your product is good, you should not hesitate to invest in these plugins. WP eMember is a premium WordPress plugin created by tipsandtricks-hq.com. The plugin allows you to have both a free and paid membership section on your WordPress website or blog. It’s a constantly updated WordPress membership plugin, that is compatible with WordPress 4.4. additionally, WP eMember has the option to include the new Google Captcha for extra security. WordPress eMember is an excellent WordPress Membership Plugin for turning any existing or newly developed WordPress website into a fully functioning membership website. With WP eMember you are able to set different membership levels ( e.g Free, Basic, Ultimate etc). With each different membership levels, you can select what level can view each article and other content such as posts, pages, comments etc. They have provided detailed documentation for getting started. WP eMember membership plugin provides many great features, including Fully Automated Membership System, content (posts, pages, media) Protection, multiple Membership Levels, member management, Automatic Membership Upgrade and more. TipsandTricks-hq.com: has also made a lot of other and very useful plugins for WordPress. You can download all WordPress Plugins from tipsandtricks-hq plugin page. WP eStore + WP Affiliate + WP eMember + PDF Stamper + Lightbox Ultimate + WP Link Manager: The Mega Pack (Best Value) only costs you $174.95 and you will be able to use them on multiple sites without paying the extra fee every month/year. MemberPress is a very advanced but very easy plugin to setup, which will allow you to develop the best WordPress membership site, securely accept credit cards, control access to your content and sell digital products and downloads effortlessly. You can instantly start monetising your content. 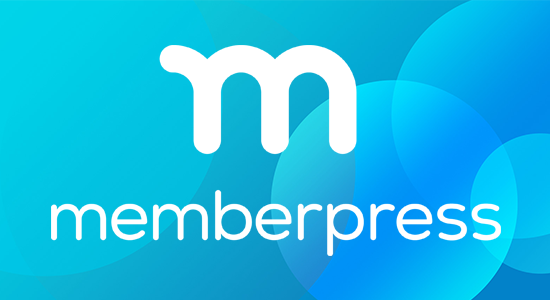 MemberPress allows you to confidently create, manage and track all of your membership subscriptions, as well as selling digital downloadable products. Furthermore, the MemberPress plugin allows you to manage your member’s access, granting or revoking member access to particular posts, pages, videos, categories, feeds and digital files based on whatever memberships they are apart of. Ready to Start Your Membership Site Today? With MemberPress plugin, You have the ability to create powerful and engaging WordPress membership sites that leverage WordPress’ best features, WordPress plugins and other 3rd party integrations for content management, social communities, and forums. All that with a No-Risk Money Back Guarantee! 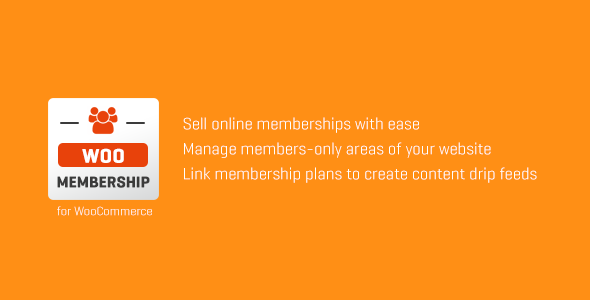 S2Member is another popular membership plugin that comes packed with powerful features. With the S2 membership plugin, you can protect members-only content with different user roles and capabilities. The free version of the s2Member Framework WordPress membership plugin will integrate with PayPal’s Website Payments Standard (also free). You can easily set up Membership access to your site. This free plugin enables you to restrict access to user roles, Capabilities, Posts, Pages, and everything else in WordPress. You are even able to protect all of your downloadable files and even stream audio and video directly on your WordPress membership website. There is a pro version that is also available which allows you to integrate with more payment gateways such as Stripe, PayPal Pro and Authorize.net. s2Member Framework plugin requires WordPress 4.2 or higher. YITH WOOCOMMERCE MEMBERSHIP is an excellent solution for selling digital products like video courses, eBooks, themes, plugins etc. This ultimate plugin is brought to you by themes, a marketplace for WooCommerce plugins and themes. The YITH WOOCOMMERCE MEMBERSHIP has a 30 DAY MONEY BACK GUARANTEE and comes with a full 100% refund if you are not satisfied. WooCommerce Membership extension enables you to sell online memberships using WooCommerce. It also allows you to restrict access to posts, pages and any custom post types on your WordPress website. The quality of this plugin is backed by Envato. They’re a leading marketplace to buy WordPress plugins, so you know it’s a trustworthy plugin. • Create optional expiration times to ensure that users only get what they pay for. Memberships automatically expire when membership orders are canceled. WooCommerce Memberships – Sell access to your content and more. 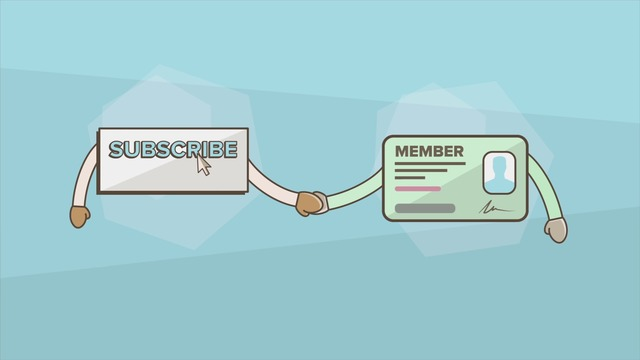 WooCommerce Memberships is not just any other plugin for restricting your site’s content: it’s a simple to use, site-wide membership solution that combines your shop, content, and memberships. The plugin allows you to create an entire membership system and seamlessly tie it to your WooCommerce shop. You have the ability to restrict particular content to members, but you can also “drip feed” your content over time to a schedule once people have signed up for your membership. The plugin allows you to sell access to memberships, include memberships along with product purchases, assign memberships manually, and seamlessly integrate member perks within your online store. The memberships are not a set up as a specific WooCommerce product type; instead, members plans are created separately from the products section. This lets you set what level of access is granted, giving you complete flexibility. Maybe the premium plugins aren’t for you and a simpler plugin is more what you are looking for. If you don’t need all the features of the premium plugins and you are only setting up a basic membership site, there are a selection of free WordPress plugins that you can choose from. Paid Memberships Pro is probably one of if not the most popular free WordPress membership plugins. It is compatible up to WordPress 4.4.2 but requires WordPress 3.5 or higher. With the Paid Memberships Pro WordPress plugin you can create unlimited membership levels and give restricted access to member only content (includes pages, posts, videos, digital downloads, categories, and forums). Accepting payments is simple as Paid Memberships Pro integrates with all of the best payment gateways like PayPal, Stripe, and Braintree. There are lots of both free and premium add-ons available, and it integrates with all the best third-party tools such as MailChimp, Aweber, KISSMetrics, bbPres, WooCommerce and lots of others. Ultimate Member is another free and frequently updated WordPress members plugin. It is compatible up to WordPress 4.4.2. A lightweight but strong plugin that can turn a basic WordPress website into a fully functioning membership website. You can create user profiles for your website, and it is a useful tool for creating online communities. Ultimate Member is Lightweight and highly extensible and most of all a free membership plugin, that gives you the ability to create any type of website that allows users to join and sign up for a membership effortlessly. Additionally, over fifteen free and premium add-ons are available to use with this free membership plugin. Google reCAPTCHA, Social Activity, WooCommerce, Private Messages, MailChimp, User reviews are just a few of the add-ons for Ultimate Member. Ultimate Member has been translated into quite a few different languages, for instance, Spanish, Italian, French, Dutch, German, Danish, Swedish, Finnish, and lots more. With over 20,000 active installs, Groups is undoubtedly an efficient and featureful memberships solution for WordPress, that gives you group-based user membership management, other group-based capabilities, and full content access control. According to the developers of Groups’ WordPress membership plugin, it has been designed to be an efficient, flexible and strong solution for group-oriented memberships and controlling content access. There are many different add-ons which are available, so you can easily improve the functionalities of this plugin. With the free version of the plugin, it allows you to create an unlimited number of groups, and assign users to different groups. Groups plugin supports custom capabilities: allowing you to define new capabilities for use in plugins and web applications. Groups offer access control solutions that allow you to restrict access to posts, pages, and other custom content types based on the users specific. All that and this WordPress plugin is also multisite compatible, all the features are then supported independently for each WordPress multi-site installation. Membership 2 plugin from WPMUDev is yet another popular and free plugin that can transform your WordPress website into a complete and fully functioning WordPress membership website. This plugin gives you the ability to control access to downloads, online content, videos, forums, and even support functions. This new membership plugin is simple to use and is very versatile in its usability for most situations. The Membership 2 plugin even provides a set and forget automated recurring payment functionality, allowing you to focus on providing value through your content while generating income from your members. This plugin also provides a simple interactive setup wizard that guides you through every step of the installation process. The main special feature that comes with the membership pro is a fully integrated coupon system that can be used to help attract new customers. The Membership 2 plugin allows you to accept payments through PayPal, Stripe, and Authorize.net. There are more advanced payment options in the pro version but we think you will probably have enough with the free version. Admin-side protection rules: The plugin gives users the ability to protect the website from various dangerous attacks. Custom post-type protection: The plugin also gives protection to post types that aren’t native to WordPress. Network-Wide Protection: Gives you the ability to handle your site from any location in the world. As long as you have WiFi that is. 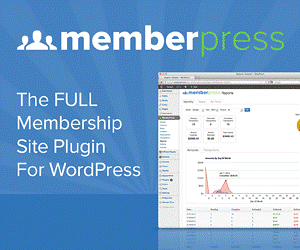 Simple Membership is a frequently updated plugin that requires WordPress 3.1 and up. Simple membership WordPress plugin gives you the ability to add membership functionalities to your website. This free plugin means that you can easily create members-only content using their content protection functions. With Simple Membership, you can create unlimited membership levels (free, bronze, silver, gold) and protect your content, your posts, and your pages using the different membership levels you create. Protecting your content is simple because you can select to protect a post or a page for your members when writing or editing a post through the WordPress editor. This plugin allows you to configure it to offer both free or paid memberships on your website. Membership payment is done securely through PayPal. Simple The plugin keeps track of all the payments from your members, which you can view anytime by accessing the payments menu in your admin dashboard. WP-Members: Membership Framework plugin is another fantastic and free membership plugin which is compatible with WordPress 3.1 or higher. It’s a scalable plugin that gives you the freedom to customize the look and feel of your WordPress website. It really is a great free membership plugin for websites or blogs looking for a simple way to offer premium content to their subscribers. With WP-Members you can let members log in through the front end of your website. To use WP-Members: Membership Framework, there’s no need to modify or customize your template or theme. WP-Members plugin also gives you the ability to edit the plugin’s default settings. This plugin is for anyone who simply wants to add member management features and restrict some website content, the default setting can be swapped from block to unblock pages very easily. We’ve listed all of the most popular and most likely the best membership plugins for WordPress that are available today. Obviously, there are a lot of other plugins out there and I’m sure we may have left one out. Let us know if we have. If you’re wondering which WordPress plugin we use, it’s WPMUDev. We will keep updating this article.